This is my third year working in Klemtu on Spirit Bear Research Foundation’s bear monitoring project. I’ve had the immense pleasure of working with many wonderful colleagues over this time and am happy to introduce you to this years crew. Each person on our team brings something unique to our group; together we have such a broad base of knowledge and experience that every day is full of a constant flow of learning and sharing. 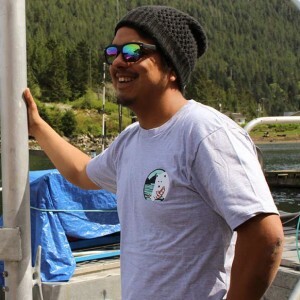 Brandon has been a research skipper for the Spirit Bear Research Foundation since the first year of the Kitasoo/Xai’xais research project in 2012. As a former commercial diver and lifelong mariner, Brandon is well acquainted with the Territory and wildlife within it. With the best eyes of the team, we can always count on Brandon to be the first to spot wildlife. Brandon knows each of our research sites like the back of his hand and he makes sure we get our work done safely and efficiently each day. Krista joined the Spirit Bear Research Foundation in 2013. She also work as a lead bear guide at Spirit Bear Lodge. When not working with bears, Krista pursues her interest in First Aid and serves as a trained Emergency Medical Responder for her community in Klemtu. 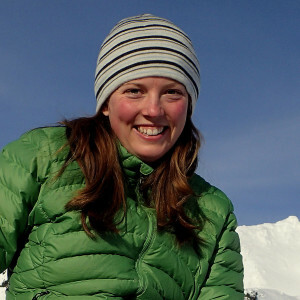 With her wealth of experience on boats, interacting with bears, and practicing remote medicine, Krista brings an exceptional skill set to the team. Robbie’s first year as an intern was in 2015 and we are delighted to see him return. 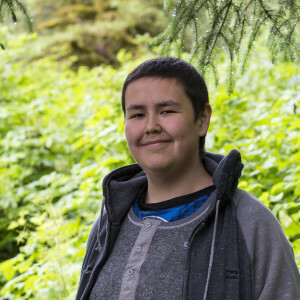 Once again, he finds the time to juggle his obligations as a full time high school student with his intern position with Spirit Bear Research Foundation. Now a seasoned intern, Robbie is a valued resource in the field. Everyone looks forward to his reliable presence on the weekends and architecturally sound piles (life size and miniature). 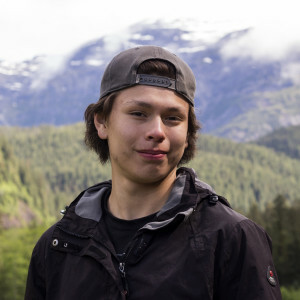 Santana joins the team this year with experience researching Kitasoo/Xai’xais history, culture, and indigenous laws. She is bringing this knowledge alive for our whole crew as we travel to the places throughout the Territory she has spent so much time reading about in an office. Santana is working hard to learn about the geography of the territory, from the water, the air, and by chart. At 14, Jonny is our newest intern. In addition to being a full time high school student, he is a mentor with the Súa Performance Program, a local youth performance group. He has applied what he learned from Súa while out in the field, connecting stories he performed with their location in the territory. Jonny is an energetic and positive addition to the team, and makes weekend that much brighter. He also brings a steady hand and endless patience to sampling bear hair, a unique skill that is highly valued by our team. 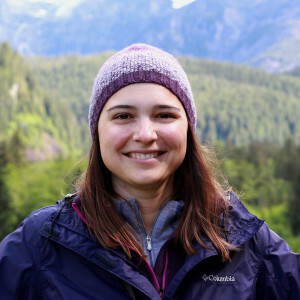 Christina came to Klemtu with a strong academic background in Biology and Geography as well as previous field research experience working with many taxa and on the bear monitoring project in Bella Bella. 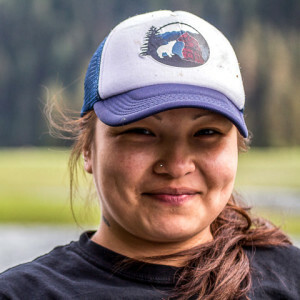 Christina brought this knowledge and experience to Klemtu with a desire to collaborate with the community to address locally relevant research questions. 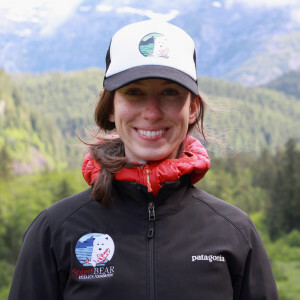 In addition to leading the bear research program and serving as the Executive Director at Spirit Bear Research Foundation, Christina is also a staff scientist with Raincoast Conservation Foundation, and a PhD candidate with University of Victoria’s Applied Conservation Science Lab. 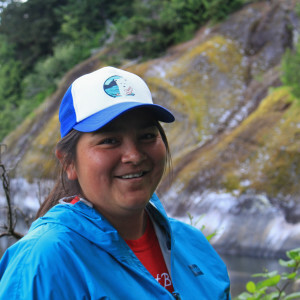 After working as a field technician on the bear monitoring project in Bella Bella, Rosie joined our team in 2014. Competent both in the field and in the office, Rosie brings with her experience in database management, science communications, field research, and past research on trophy hunting, bear economies of BC, and bear behaviour via remote cameras. Emma joined our team this year with experience working in the Kitasoo/Xai’xais Resource Stewardship Department as an Indigenous Laws Researcher. Jumping from the office to the field has been quite the change for Emma and she is learning lots from her local colleagues. 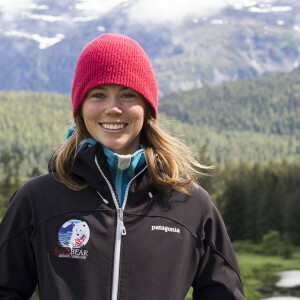 Emma’s enthusiasm and willingness to learn have us all looking at humpback whales and the territory more broadly in a new light and we are excited to have her on board. Lauren visited us in Klemtu this year all the way from Pennsylvania! She is about to begin a PhD with the University of Victoria’s Applied Conservation Science Lab and joined our team to lend a hand with research and become acquainted with the place (and animals) she will be studying. Lauren has been an asset to our team. We are grateful that she enters data as meticulously as she scans the shoreline for wolves.